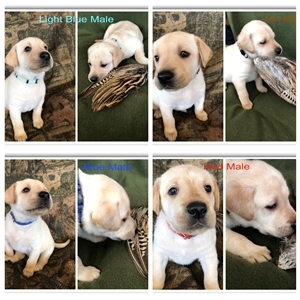 Flushing Kimber Kennels out of Inola Oklahoma has a litter of Superior "Working" Labradors for Upland Game, Waterfowl Hunting, Hunt/Field Trial Competitors or Loving Home Companions. 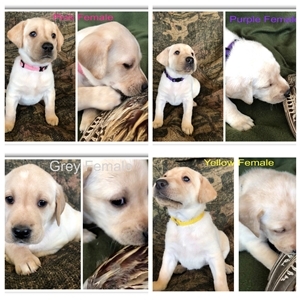 This litter was whelped February 2, 2019 and are ready for home placement. 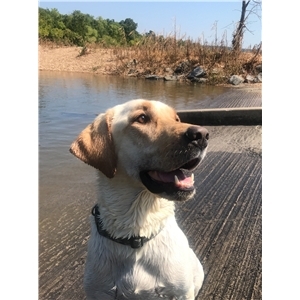 This is an exceptional breeding between 3xGMPR Blackjack's 3 Ring Vega SH from 3 Ring Kennels in Parsons, Kansas and our own Kimber Paws Pannell of Flushing Kimber Kennels in Inola, Oklahoma. Kimber Paws Pannell is a beautiful 80 lb. 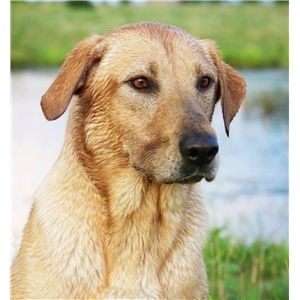 yellow Labrador that is an exceptional hunting and home companion that will start her first hunt test runs in the Spring 2019. She has proven to be an excellent mother and an incredibly intelligent and loving companion that is eager to learn and please. 3xGMPR Blackjack's 3 Ring Vega SH "Vega" is a beautiful well rounded pointing Labrador. He has a well-structred 74 lb. muscular thick build with classic blocky features. He is a 5th Generation GMPR who's top line on the pedigree goes through the legendary APLA HOF Rik's Risky Raider. Vega has a proven ability for his point, his marking, and his manners which make him a joy to handle. Vega and Kimber's amazing 5 generation pedigree is stacked with prominent APLA GMPR's, APLA HOF's, FC/AFC's including two US Open Pheasant Champions. With an incredible 52 Hall of Famers between them. All pups will be dual registered both UKC/AKC - full registration at no extra charge. 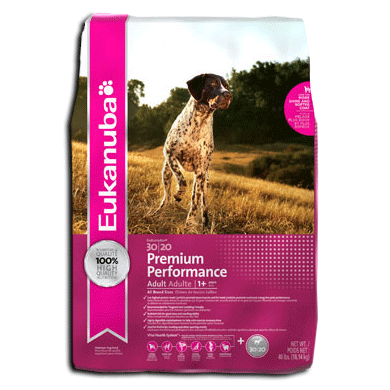 Flushing Kimber Kennels also offers a 30 Month Genetic Health Replacement Guarantee should your pup be diagnosed with Hip or Elbow Dysplasia by the OFA or is diagnosed by a Vet Ophthalmologist to have the Eye Diseases, PRA, CPRA. One pick left for Females and four picks left for Males!!! Thank you for your interest in our pups! !